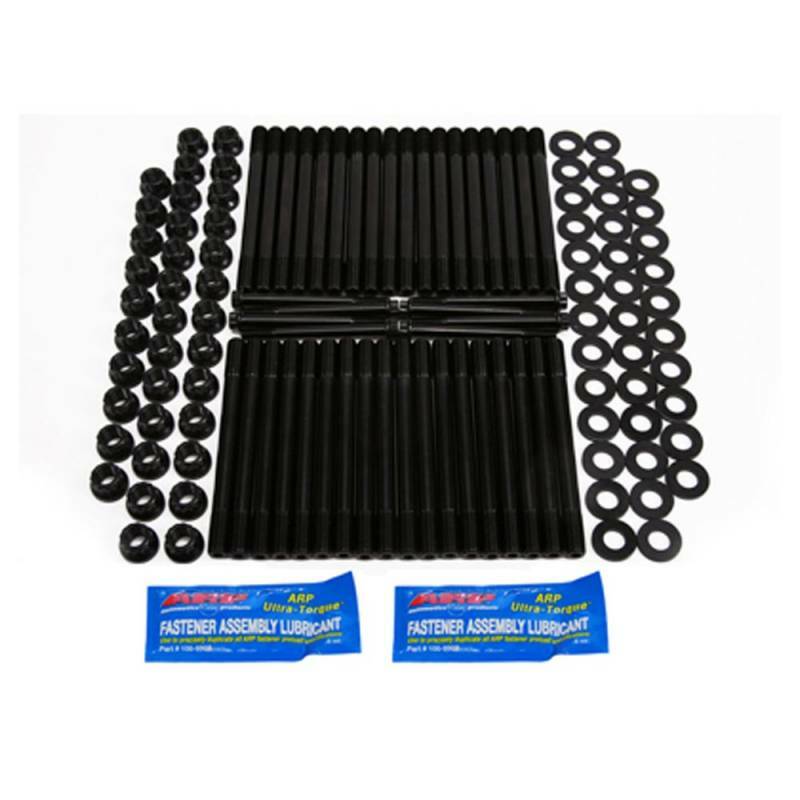 This ARP stud kit for 2001-2007 6.6L Chevy Duramax applications are rated at 220,000 psi tensile strength, and provide the clamping force required to keep cylinder heads from lifting due to higher combustion pressures. The studs are manufactured in ARP's Santa Paula, CA plant from proprietary ARP 2000 material, with threads rolled after heat-treat to provide optimum fatigue strength. They are centerless ground to assure perfect concentricity. The ends of the studs are broached to facilitate easy installation. This feature also enables the cylinder head to be removed in tight quarters. 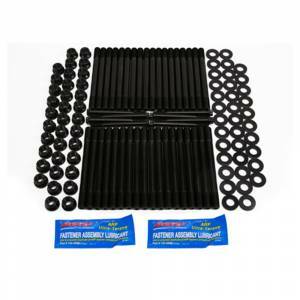 Also included in each kit are heat-treated, chrome-moly steel 12-point nuts and parallel-ground washers. They are black oxide finished for extra durability.